My name is Myrtle and I stand in this pen day after day looking out at the green grassy field. I want so badly to go out and eat that tasty grass and romp in those grassy fields. My heart is out there and not in this stuffy ol' pen. My mother tells me to not let that beautiful green grass fool me because the grass is NOT greener on the other side of the fence. I want to believe her, I really do, but my heart is out there in that beautiful green field. Alas, I will never know. Thank you MajesticGoldenRose for our photo prompt! 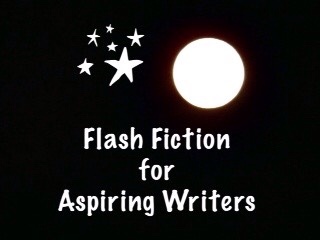 This is my 100 word story for the flash fiction, Flash Fiction for Aspiring Writers. We are given a photo prompt and approximately 75-175 words with which to create our stories. It is fun and everyone is invited to participate. For more information click HERE. LOL! We all want to know what’s on the other side of the fence. Thank you so much, JR! Awww … Myrtle is so cute. You brought her to life, PJ. Thank you so much Isadora!! Yes, I agree with you! How we all have thought this from time to time – eh? Awh Sweet Myrtle. Oh yes! So true. Thank you so much Jodi! That’s sad for poor Myrtle 😦 She should be allowed to go and find out for herself. I agree with you Ali! Thank you so much! Oh! such a delightfully sweet tale. We should allow everyone to go out and whet their curiosity. That’s the only way learning happens. Excellently written, PJ. Yes Neel, that is so true! Thank you KL! I hope Myrtle believes it! Aww, perhaps the mom is right and the grass isn’t actually greener on the other side. Things have a way of looking nicer than they really are. That is so true, Jade! Thank you! Great take PJ… reminds me of the lovely novel – Black Beauty! Image is superb! Oh my gosh, I haven’t read that book in so long I forgot what it was about! Thank you so much Shivangi! I remember loving the book! Nice take PJ, I feel a bit sorry for the calf, it would be nice for them to try the grass and see if it is greener! So very true Iain! I feel sorry for the calf too! Oh, how sweet! Cute cow, hope she gets a chance to at least experience it for herself some day! I hope she gets to too! Thank you so much Terri! Joy, I love this story! And, it is so true, but we can never be sure until we have experienced it ourselves. That’s when we learn how true those words are! Jessie, you are so very right! We never know the truth to it until we experience it for ourselves. It’s good to see you because I have been concerned about you. I haven’t seen you on the blog’s recently. One can never know unless one tries…true the grass may or may not be always green on the other side but if Myrtle wants so badly to see the other side the she must ! Thank you so much JupiterMagic! I agree. She needs to go out of the fence and experience it. We always long for what we can’t have! Maybe one day she’ll be able to see for herself whether the grass is truly greener on the other side – or not. Hopefully she’ll get there. You’re right Chris. She needs to find out for herself. Someday she will be able to do so. I know the feeling. Me too! We’ve all been her at some point. I know the feeling. Moms are the ultimate dream killers, LOL!!! Poor Myrtle. One day, maybe, she can run through the fields. If only in her dreams. Yes, poor Myrtle! I hope someday she really will get to run through the fields! Russell, I tried to read your story for FFfAW but it is not allowing me to read it unless I sign up for your newsletter. Sorry, but I don’t sign up for those type of things. Hi PJ, that’s odd that’s it’s not letting you. Can’t you simply close the newsletter popup? Should be a close at the top right corner you can click. let me know if that works or not and I’ll check into it. Thank you Louise! I hope she does too! Thank you so much Ameena! You are so right. Sometimes we have to find out for ourselves. Thank you so much Mandi! I think you may be right. What a cute story PJ. I totally feel Myrtle’s desire. 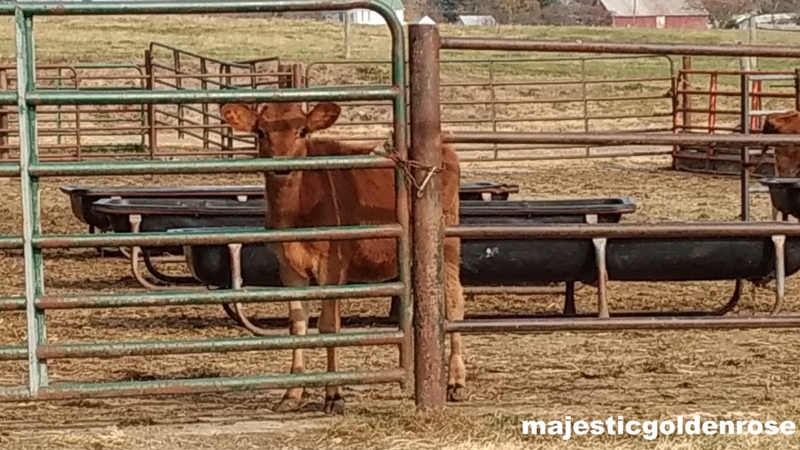 I would want to chew on some sweet green grass than being in the pen, then again, mother might know better due to her experience. Who knows what’s lurking outside in the open. Thank you so much Jaqueline! Yes, I agree with you. I would want out of that pen too! the curiosity is so relatable! 😀 this is nice and deep too! always dear PJ! ❤ ❤ ❤ i might be back. yay! Ah, the grass is always greener, but in this case, it might actually be true. Yes, so true!! There isn’t much grass in a pen. LOL! I bet she did too! She probably never got over to that green grass or she wouldn’t be telling her daughter that! Yes, it is time for her to teach her mom! LOL!